pimlico | Dragons Rule OK. I read this book this month, having received a copy for Christmas. I loved it. 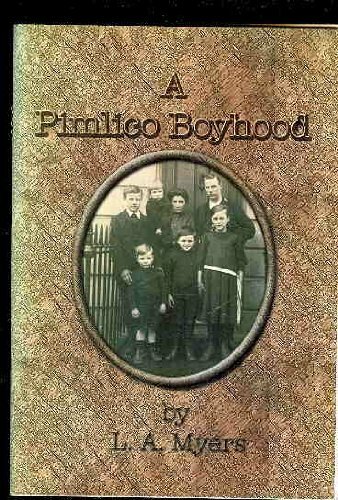 It was well-written, and gave a clear picture of what life was like in the 1940s in Pimlico. London. At the beginning of the book, the author gives a little of the history of Pimlico and where it is, as so many will not know this. It is interesting to learn of the wages people were earning in those times, too. He goes on to tell of the games they played as children in those days, and how girls’ games differed from boys’. How people got around was also of interest. Mr Myers describes the Hansom Cabs that people used before cars became something other than the preserve of the rich. The food they ate and the life of children in school. You name it, and it’s there. There is so much of the rich life led by the working classes in those distant days that I cannot begin to describe it all. You should read this small book for yourselves. The only thing I would criticise is the price, which seems rather high for such a small book. I gave it a 5* review on Amazon.